Condition: Good, general age-related toning. Some wear, please study image carefully. Overall size: 50 x 35.5 cm. Image size: 32.5 x 30.5 cm. 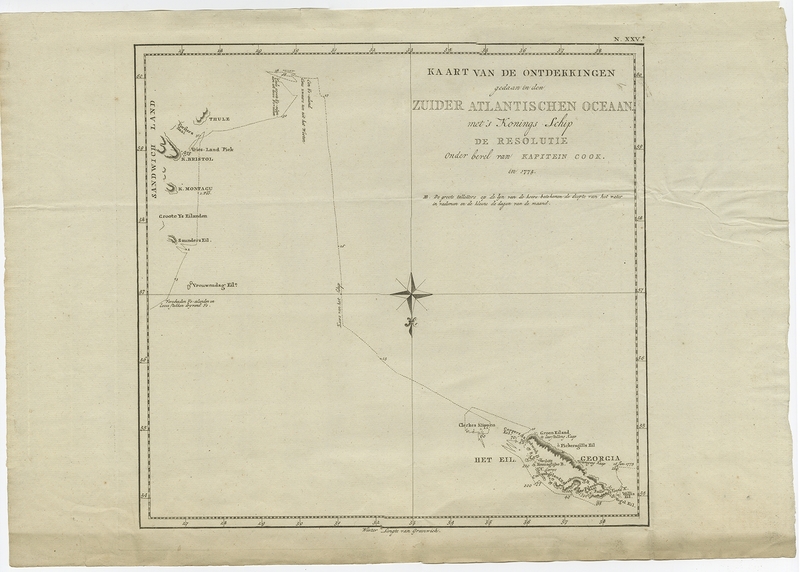 Description: Antique map Atlantic titled 'Kaart van de Ontdekkingen gedaan in den Zuider Atlantischen Oceaan (..)'. 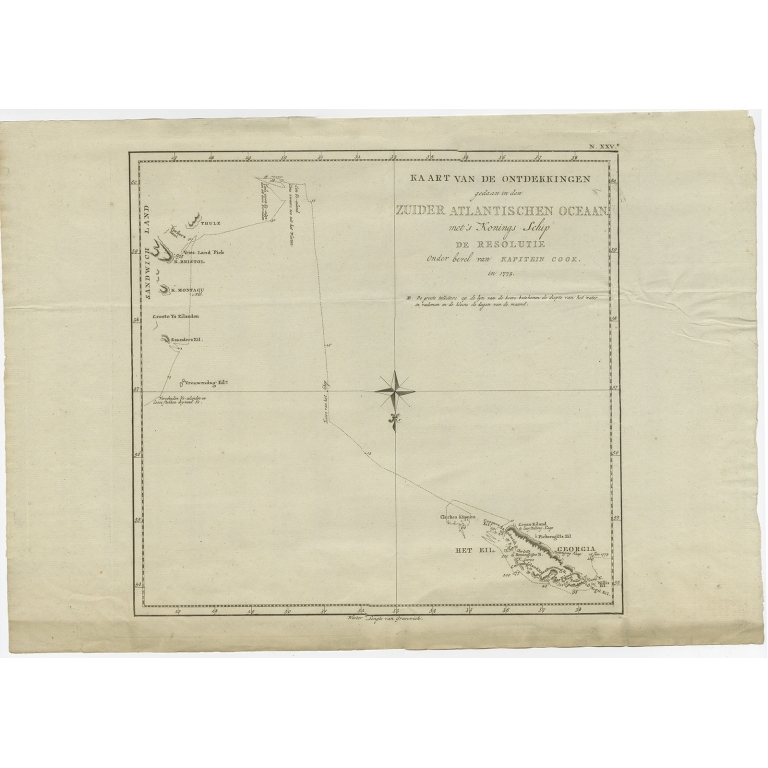 Antique chart depicting Southern Georgia and the Sandwich Islands. Originates from 'Reizen Rondom de Waereld door James Cook (..)'. Artists and Engravers: Translated by J.D. Pasteur. Published by Honkoop, Allart en Van Cleef.